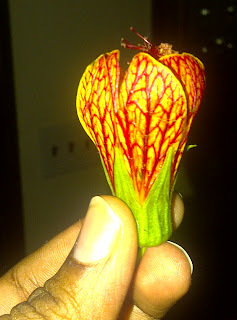 The Southern Vegetarian Chronicles: A Few of my Favorite Things, Southern Veg Style! I know I am not Oprah, but I too have a few favorite things that add a little bit of yumminess to my life. By the way, you can purchase some of these things at the Amazon site to your right →. Go ahead, you know you want to ☺. These two are the ones with the most food bits on the pages from spilling flour, cake batter, oil, gravy, etc. 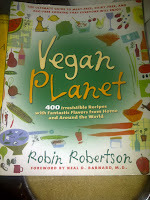 Vegan Planet has some great cookie and brownie recipes and also great Vegan cooking tips. 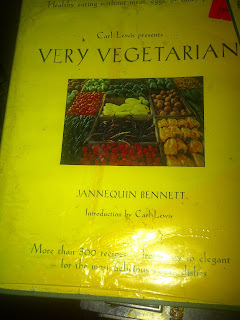 Very Vegetarian has some great pictures and savory recipes. 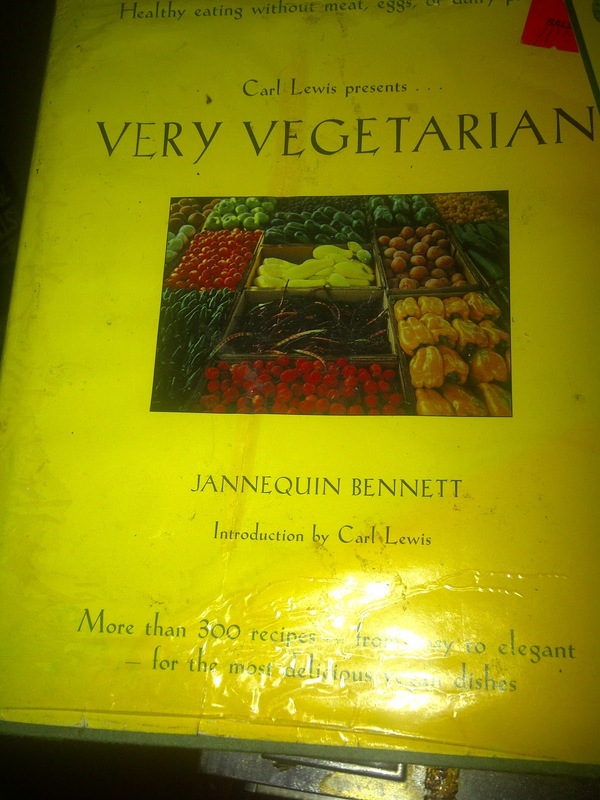 In fact the foundation for my mac & cheeze came from this book. 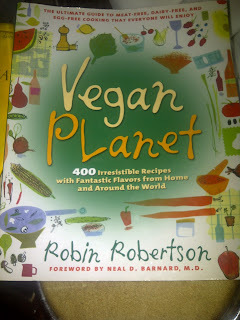 Must haves for the Vegan/Vegetarian cook. 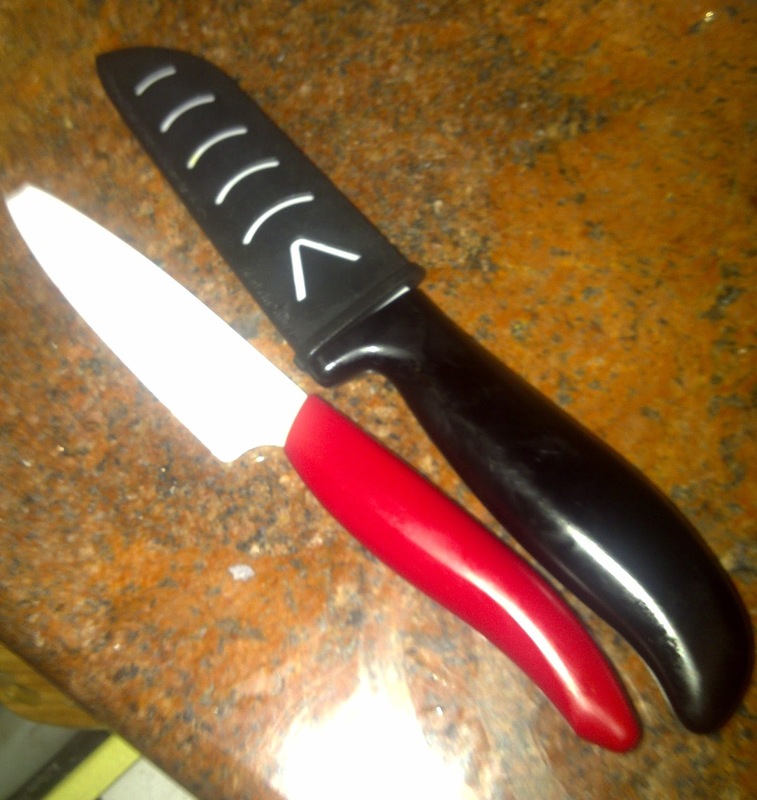 I like ceramic knives even though they can chip like my red one here. I just have to send it back to the company and they will sharpen it round off that tip for me. The one in its case is brand new. They both cut wonderfully! 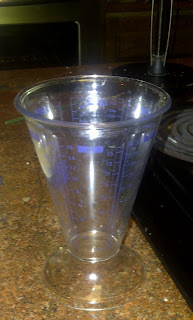 FYI, don’t try to crush garlic with these. They will definitely break. This is a cool measuring cup I picked up at a local kitchen store. I love my cast iron cookware. 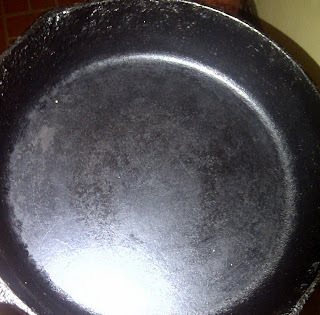 I have this pan and two other pans along with a biscuit pan and two enamelized cast iron pots. Great heat conductors and I can even store food in the refrigerator in my enamelized cookware. Last but not least, my son gave me this flower. It is, out of everything my most favorite thing!